sisterhood power and live their lives on their own terms? Join us in one of the most magical places on the planet, to the island of love, Ibiza! surrounded by the beauty of nature and other high vibing women! We can’t wait to dance with you in this beautiful luxury villa with sea view and private pool! That’s the power of reconnecting to your Goddess energy, unleashed. Just get ready and warn your friends! 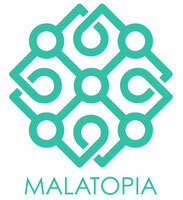 To book or for more information please email Rachel info@malatopia.ch or call on +41 (0)78 609 0968. The inspiration for these immersions came from my own transformative adventures participating in numerous retreats and workshops all over the planet. These experiences changed my life. It brought me deeper into my heart, into my body and helped me to reconnect with MYSELF, in turn making it easier to connect with other people. I would like to help you to change your life too. This retreat will show you how to infuse the vital power of your sensual and sexual energy into your day-to-day life. It will elevate your intimate relationship to become the place where you are nourished, uplifted and transformed. The benefits of immersions are that you have the opportunity to dive deep, without distractions and form new beliefs and habits. When you step back into your daily routine, you embody these new behaviours. What I will share with you and teach you in The Goddess Glow Retreat is a synthesis of Sensual Yoga, Meditation, Chakra work, Tantra, Transpersonal psychology, philosophy and a host of quantum growth-accelerating practices, that I have been practising for three decades. I have also been supported by different coaches, mentors and healers who have guided me on my journey of deep inner work, motivated me to go out of my comfort zone and celebrate my successes on all levels. There is always another level to go! My journey in holistic health began over 25 years ago with a beautiful gift from my Grandmother, an aromatherapy book, that sparked my interested in the magic of essential oils. After completing my aromatherapy and reflexology studies in South Africa and London I started a small holistic health practice in my garden studio and also worked as a therapist at Neal's Yard Remedies in Guildford, England. While entering into Motherhood, I attended my first yoga class in the late 1990s and fell in love with the practice. I loved the energy; the vibrancy; the way it made me feel; the lessons it taught me; the transformation; the confidence it gave me; the stability; the clarity and most of all the tranquillity. I continued to develop my yoga practice working with some incredible teachers over the years and decided that, as yoga had become such a deep-rooted part of my life, I wanted to share it with others. In 2007 I headed off to Kerala, India to complete my yoga teacher training and have been teaching ever since. Since 2007 I have had the honour and privilege of working with many inspiring yoga teachers and spiritual leaders: Richard Freeman, David Swenson, Kino MacGregor, Tim Feldman, Stephen Thomas, Michael Hamilton, Douglas Keller, Richard Hackenberg, Brian Kest, Max Strom, Katchie Ananda, Baron Baptiste, Shai Tubali and all the wonderful yoga students over the years past and present. My teaching style is focused on Hatha and Vinyasa Flow as well as taking inspiration from, and incorporating elements of the Ashtanga tradition. 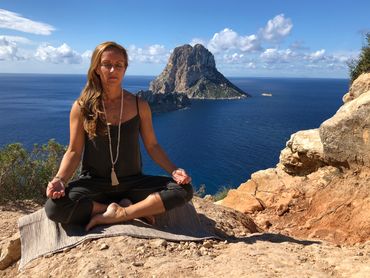 I offer yoga classes, private yoga coaching, yoga workshops, aromatherapy and reflexology from my tranquil yoga studio, YogaTopia, in the heart of Herrliberg. At YogaTopia we believe that everyone of every age, temperament and state of health has a right to experience the wonderful healing and harmonious effects of a regular yoga practice. Yoga is not just a form of dynamic movement but a way of life and provides a solid foundation for a healthy, harmonious and balanced lifestyle. It was during my time in India that I discovered my passion for meditation malas. I always found meditation quite challenging so I felt naturally drawn to japa meditation. I had an immediate connection to the mala beads, the feel, the aroma of the sandalwood and the healing properties of the crystals. My mala was the perfect tool to develop my seated practice. This was the first small step to developing MALATOPIA which was born in 2015. With the help of my little team I offer Creative Mala Workshops in Switzerland and I also travel within Europe to offer workshops at yoga festivals as well as yoga and meditation retreats. Through my teachings of yoga and a holistic approach to health I am able to share my inspirations and knowledge with others to help them to heal themselves. “I booked The Goddess Glow Retreat with Angela Ramel because I wanted to reconnect with myself, to handle my emotions better, to heal certain traumas and overcome challenges that followed me since a while. And of course one of my goals was to take time for myself away from my daily routine. The retreat has been a life changing experience for me. I learned so much about myself and my body. I was able to liberate my feelings, doubts, trauma in a trustworthy environment and found the answers I was searching for. Being with 8 women for 1 week is a wonderful way to share experiences, empathy and being part of a tribe. It was very intense emotionally however very positive. Since I came back, I am a new woman both on a professional and personal level. I feel that I have more clarity, I feel much more powerful and closer to myself. My sexuality is now even better because I know how to listen to my body, I know how to let go and I know how to use my inner power. “Before The Goddess Glow Retreat in Ibiza I did not like the idea of a personal photo shoot. Because I feel very unconfident about my appearance, I don’t necessarily like to be photographed. But then I felt so secure and seen during the personal photoshoot that it was one of my best experiences during the retreat. And the results are absolutely gorgeous. Through the support of Angela and the group I experienced myself much calmer and more beautiful than I felt in recent years. These 6 days in Ibiza have brought me a great deal closer to me as woman and I will hold on to these transformative moments. I loved the content of the Goddess box! At one point everyone was wearing their Goddess T-shirt and this made me feel like I belong to a unique tribe in sisterhood power. The Yoni Eggs I’m using and practising the ritual daily, still feeling into it and discover what kind of effect the practise will do to me. This week has really brought a lot of positive things for me and my personal development. And it also brought me onto a new level of energy - as if a resource has been tapped somewhere. I never thought this energy could be possible for me to find, even though I was searching for it my whole life. The Retreat gave me access to my inner freedom and and made me think about what matters most in my life. How do I imagine a good life that suits me? Where do my real interests lie and what goals do I want to achieve? And the great thing is, that now I really have the confidence that I will be able to make my present and future wishes come true! “I met Angela at a social event a few weeks after the separation of my boy-friend. It was like a sign or destiny meeting her, she walked in like an angel, with her Angel name and sat next to me. Her positive energy was overwhelming when she introduced herself. I had to ask for her business card and decided to join the Goddess Glow Retreat in Ibiza after she explained me what I will be experiencing and what will happen when I would go on the Goddess Journey with her and a few other high vibing women. My intention was to resolve a traumatic experience and to free myself form the often suppressed woman inside of me. I experience the Goddess Journey as a journey to myself and to unleash my feminine side. During the retreat in Ibiza I experienced every day very intensely. The group of women was very mixed, representing all women in different ages, stages of life and circumstances in private and working life. Very soon I had to correct my first impression, that we were all so different. I could understand them and feel empathy for every single woman. It was so gorgeous listening to them without judgement, feeling with them, talking to each other with respect and tolerance. Lovingly guided into healing by Angela, who always found positive ways to deal with every single issue that came up. I enjoyed the Sensual Yoga and meditation sessions and loved the plant based food. Each day I felt better and stronger, much clearer and somehow centred in my body, heart and mind, feeling this way also in my life now after the retreat. I strongly recommend the Goddess Journey to the woman who is open and willing to listen to herself and to follow her inner voice. It is a a journey which takes you to yourself.